We make garden tools the old fashioned way...by hand. 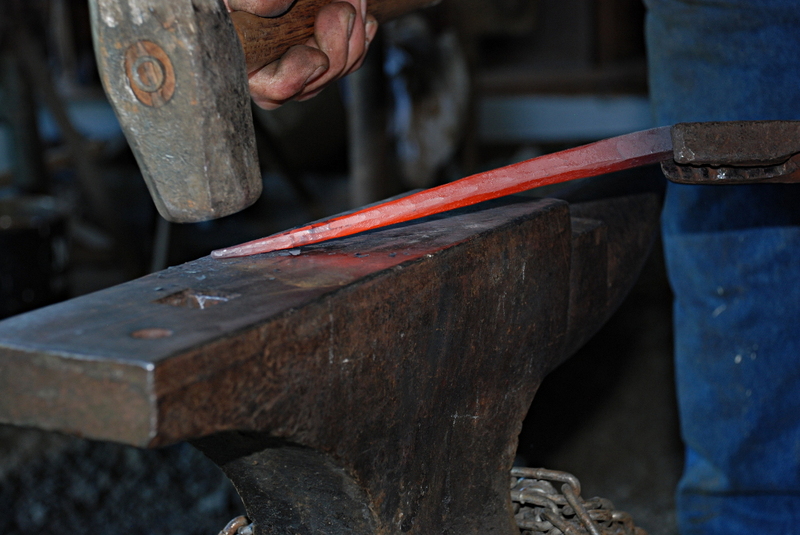 We use steel, fire, an anvil and good, honest sweat. These hand crafted garden tools are stronger, sharper, and will last longer than any others you can buy, and they are made right here in Oregon, USA. Although we make and usually have in stock more than two hundred different types of tools, we know that many people have that favorite tool that's just worn down and no longer for sale, or a memory of a tool grandpa used to use. If we don’t have the garden tool or agricultural tool you want on our shelves, let us know and we’ll make it for you—right in our blacksmith shop, where we make all our other tools. We specialize in making hard-to-find and historic styles of tools, along with one-of-a-kind garden tools. We make more long-handled garden tools - like hoes, drags, spades, and a heckofalot more besides - than are currently available through our website. Call or email for more info. If your tools are broken, we can repair and re-handle them. Dull tools? We sharpen them. Tools that don’t fit you? We’ll modify them. We do this most often locally, due to shipping costs, but if you live somewhere far from us and don't have a local blacksmith to do the work for you, we'll be happy to do the work for you. We also produce many custom tools and do general blacksmithing. We will hand forge special orders like trellises, small gates, obelisks, hooks, fireplace sets, latches and just about anything you're looking for. We are blacksmiths, after all! If you are interested in learning more than you can find on the website about our products, send an email or call. If you live in or are visiting Oregon, and are around Portland or are on your way up Highway 26 to Mt Hood, stop by the retail store in a barn on Bob's property. You’ll see unique patterns, implements you've never seen before, and a fine collection of antique garden tools. In our retail store - located in Boring, Oregon - we also sell hundreds of top quality hand forged garden tools made by companies like Corona, Ames, Union, Seymour, Council and Spear & Jackson, just to name a few.